I wasn’t even looking for another bike. Rasputin found me. At least that’s the story I am telling. I was just browsing PinkBike ‘for a friend’ when Rasputin growled at me. I was powerless. Just take my money! Shiny-thing-make-better-feeling! Rasputin is a custom titanium 29+ rolling on Velocity Blunts and 29×3 Knards. It has gorgeous features around the chain and seat stays to accommodate the 29+ Knards. There’s plenty of clearance beneath the down tube for a 120mm fork, should I want to ride it as a trail bike on some 2.4″ Ardents in the summer. The rear end is an elegant 142×12 setup with a custom drop out. The titanium fork supports a 15mm Maxle and has loads of mounting bosses for Salsa Anything cages or a front rack. Pedro Jerónimo started Jerónimo Cycles in Tenerife in 2010 and he deals mainly with custom titanium frames. 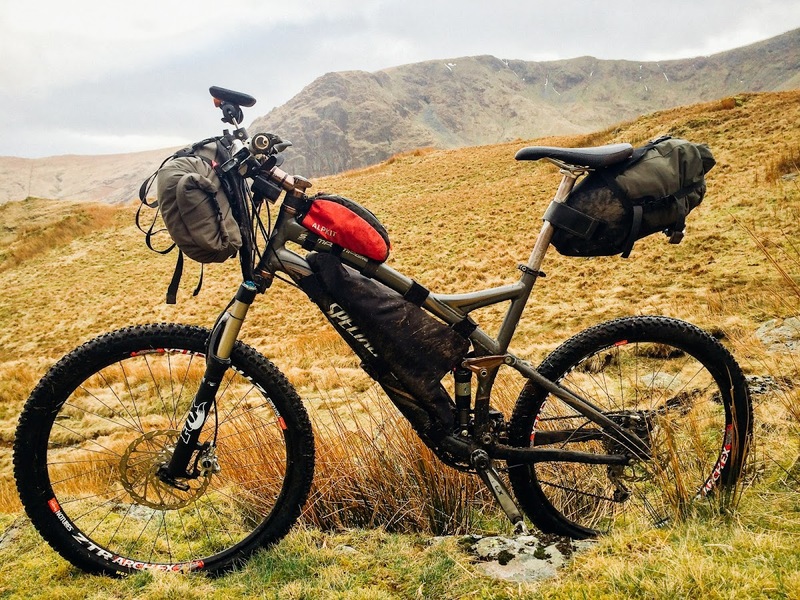 The Rasputin 29+ was conceived by Ismael Aneiros, a bike mechanic and builder from Valencia, who was planning a bikepacking expedition in Alaska. I’ve only done a few short rides so far, so Rasputin hasn’t flexed its titanium muscles yet. I’ll be posting more about this over the coming months. It’s sure to be my weapon of choice for the Highland Trail 550 in May. The Inbred carried my from Mexico to Colombia. 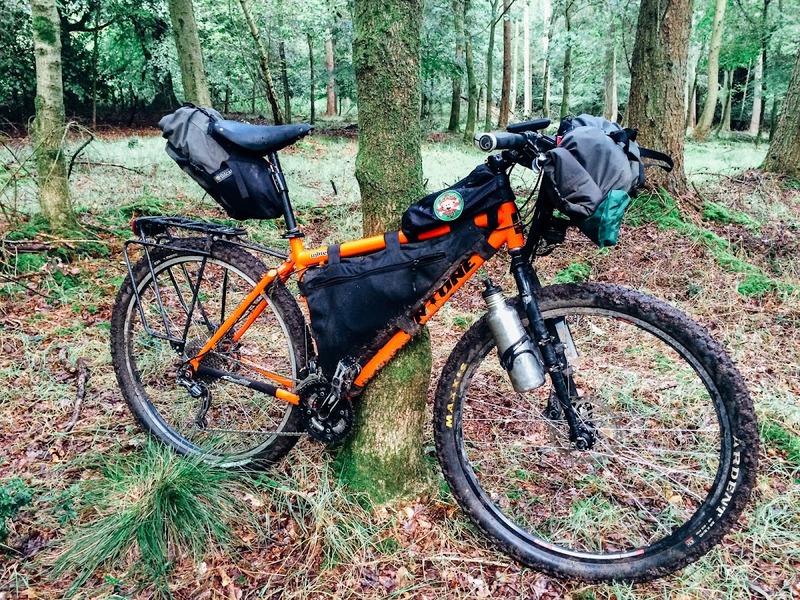 This is my dependable do everything touring/utility bike. It’s twice the weight of my road bike, but it never says ‘no’. I still use it on the trails, but it’s also my ‘shopper’. Because we don’t own a car, I often use it to haul heavy loads. I’ve strapped various cargo to the rack, including compound mitre saws, wooden shipping pallets and I once carried 50kg of compost home from the garden centre. It’s been nearly 30 years since Specialized released what many consider the first mass production mountain bike – the classic Stumpjumper. This more modern 2008 FSR Stumpy is a nimble XC/trail bike, great for whipping around the local trails or for soaking up the bumps on overnighters.